Portable Restroom Hurricane Tips | Anderson Rentals, Inc. Keeping Your Portable Restroom Safe this Hurricane Season – Anderson Rentals, Inc.
Hurricane season is a portable restroom’s worst enemy. 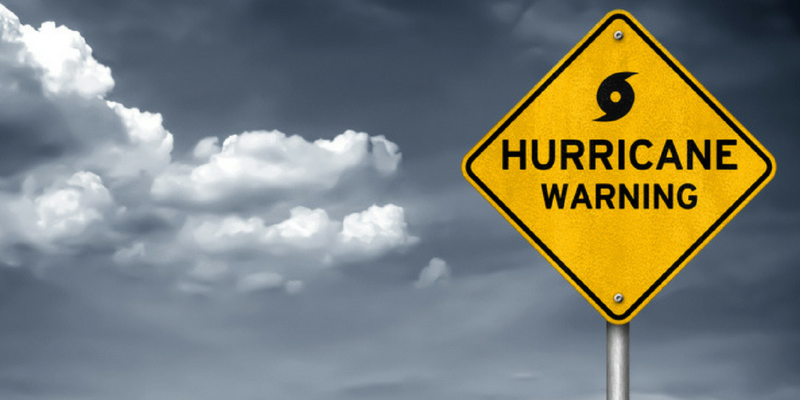 Due to the high winds that come along with hurricanes, unless the proper steps are taken to secure a unit there can be great damage to your rental. Read on for Anderson Rentals’ guide on why it’s important for you to secure your portable toilet rental, tips for keeping it safe, and when to expect your service to resume in the event of a major storm. Two reasons: You are protecting the portable from receiving physical damage and/or causing physical damage to another property. Also, you are securing the portable in order to have it for use immediately after the storm. Failing to secure a portable toilet before a hurricane can have serious implications. If the wind catches inside of the unit, it can send the portable toilet flying 50’ in the air. While this sounds like a funny phenomenon, it can create serious damage to surrounding properties or individuals. Typically, when a contractor rents a unit it becomes their responsibility to make sure that it is secured – meaning that if damages are incurred the contractor is held liable. Move the portable to an exterior wall on the leeward side of the building. Tie the door of your rental shut to reduce damage and keep it from flying. Lay the portable down on the ground, on top of its door to help prevent wind from getting inside. Weigh it down using sandbags or other heavy materials. After the storm has made its way through the area, we advise putting some water in the rental until we can safely come out to service it. In securing your unit proactively, when the storm passes it will be easier for your unit to be serviced and running again! After the storm passes, notify Anderson Rentals of any damages, and we will work to replace your rental as soon as we can! The severity of damages created from the storm can affect how quickly our team can get back on the road to service units, but we are committed to serving your needs as soon as we can. It is also important to remember that when we resume our clean up routes, we may not be able to get to every unit right away, as cleanup and restoration crews can sometimes block the way. Never forget the importance of securing your portable restroom rental before a hurricane hits your area. Keep these tips in mind the next time you are facing a storm to help you secure your portable restroom rental, while also keeping area property(ies) safe as well. For information on rentals, contact Anderson Rentals today!